Many of you may have visited the small fishing village of Fornells or have planned to visit it, but, do you know its origin? Don’t miss this post about the origins of Fornells. The foundation of Fornells is linked with the defense of its bay, a strategic spot of the island of Menorca which have been often a target for other nations and subject to pirates’ incursions through history. During the XVI century, the bay of Fornells had been unprotected, and this was the reason why in 1604 the construction of a small defensive watchtower was decided. However, the referred watchtower was insufficient to repel any kind of pirate attack. Therefore, the king Phillip IV of Spain ordered in 1625 to build a castle in the spot where nowadays stands the British watchtower of Fornells. This project was not successful because of a lack of budget. A few years later, to remedy the problem of vulnerability of the bay of Fornells, it was decided to erect the castle of Sant Antoni, whose construction began in 1637. During the construction period, a suburb was formed around the castle. This suburb consisted of streets and squares who were to become the nowadays village of Fornells. The first inhabitants of Fornells were the persons related to the construction of the castle and the soldiers who served the fortress. They built the church of Sant Antoni, which remains the only church of the village. The castle of Sant Antoni was built using the most modern techniques of the XVII century. However, the construction of the castle lasted for forty years, and so it turned obsolete just after becoming operational.In its time of maximum splendor, the castle had twelve cannons and several muskets, and could accommodate about sixty soldiers, led by the captain of the fortress. The walls were twelve meters high and thirty wide, and were surrounded by a moat. Throughout the XVIII century, the castle was held by the British and the French, until year 1782 -the year in which the Spanish crown recovered its control over Menorca-, when the king Charles III of Spain ordered the partial destruction of the castle. At the same time, the small suburb which had formed around the castle consolidated as a stable urban nucleolus, becoming the fishing village that has survived until present times. Curiously, the castle continued to be militarily active after its partial destruction: coastal batteries were installed in 1799 (concurring with the new British ruling of the island), and underwater mines were installed by Spain just in front of the castle during the war against the United States of America because of the independence of Cuba. Also, during the Spanish civil war, the republicans installed loopholes in the castle to repel the enemy’s attacks. To this day, the castle of Sant Antoni has been partially rebuilt. However, only the cistern and depots have survived from the original building. 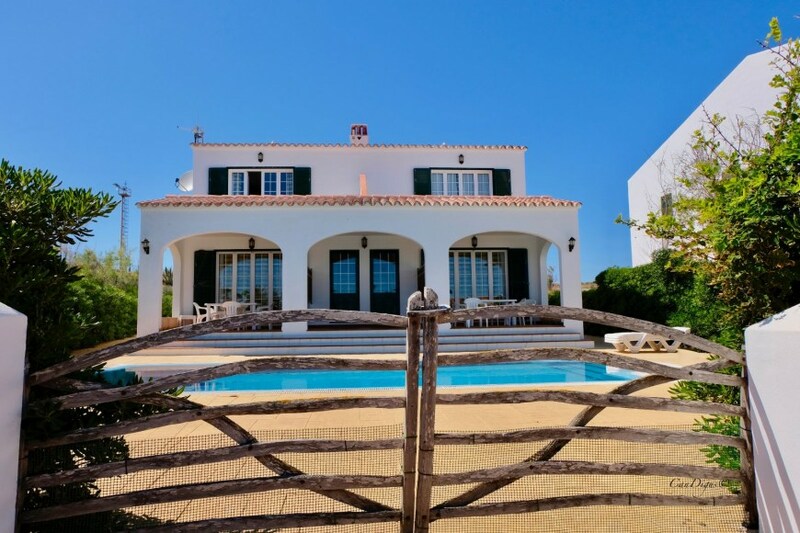 The castle is an amazing spot with enviable views to the bay of Fornells. Several events and expositions are held therein in summertime. The best time of the day to visit it is at the sunset, when the sky is like a pink and blue mosaic.